Use the Streetcar tracker below to find out where the streetcar is at anytime. Click on the stop location to find real-time arrival info. The KC Streetcar tracker by Smart City Media (City Post) is also available for iPhones and Android phones. Streetcars operate 7 days a week, roughly with 10-15 minute headways. However, with heavy traffic and increased ridership, the wait times may be slightly longer. Both the KC Streetcar team, including the RideKC team members with the KCATA, and the Kansas City tech community have been working behind the scenes to bring streetcar location information not just to the streetcar stops but to your desktops and smart phones as well. So in addition to the digital display boards at the streetcar stops, which let passengers know when the next streetcar will arrive, you can now track the streetcar’s location when behind your computer or on your phone. CityPost by Smart City Media. This app provides hyper local information for the events happening downtown and the activities around your geographic location. It also provides streetcar information including safety videos, route map, hours of operation, streetcar location information and arrival estimates. This information uses data from GPS units installed inside the streetcars. KCityPost is available for iOS and Android phones. KC Street Track is the newest transit app in KC to feature both streetcars and RideKC buses. Though this app does cost .99, it does have features the other apps don’t. What it doesn’t provide is real-time arrival information for each stop but we are told Version 2 will include this feature. This app provides directional information, so you know the directions of the streetcars and their movement; Number of streetcars on the route; Social media posts; News; Schedules; Alerts on closings; Nearby Restaurants; Cross-platform (iOS/Android). This location information is fed from the streetcar’s transportation management system, Trapeze. Streetcar KC by Disruption Institute. 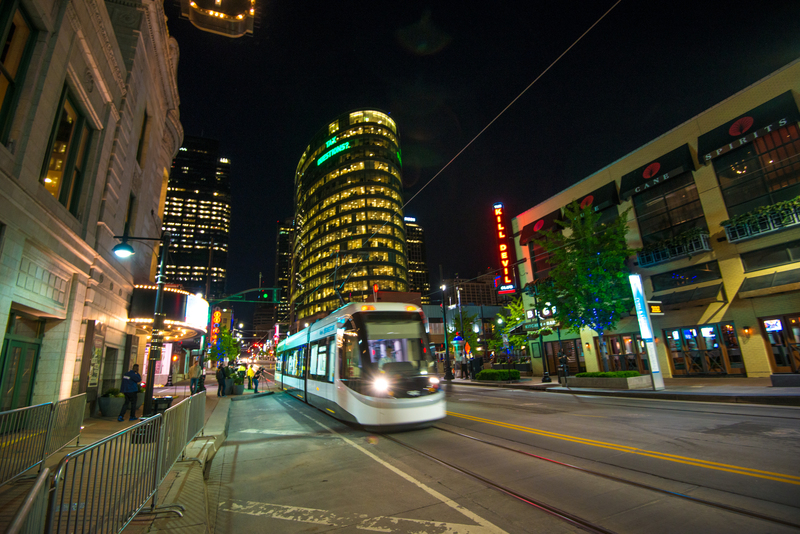 This free app helps users find their way around downtown Kansas City with the streetcar being at the center of it all. There is information about restaurants, shopping, places of business and, of course, streetcar location information. This location information is fed from the streetcar’s transportation management system, Trapeze. Local techie known on Twitter as @omnay, developed a transit tracker website, itsab.us, that not only tracks all local bus routes, but the KC Streetcar as well: Track The KC Streetcar. This site is fed from the streetcar’s transportation management system, Trapeze.